It’s time to work on capitalizing place names, like countries, rivers, and mountains! 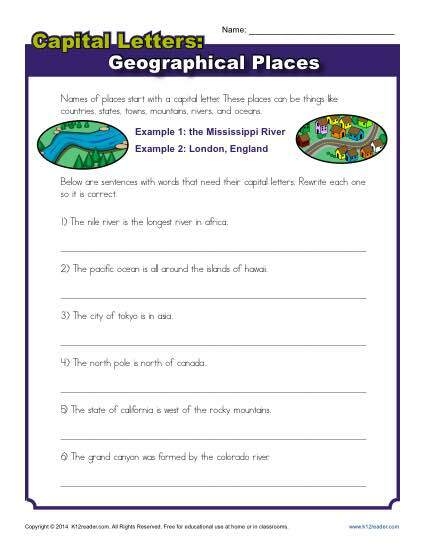 This worksheet asks your student to rewrite sentences with a variety of geographic place names. It’s a fine way to work on 2nd grade Common Core Standards for Language. It may also be helpful for other students.